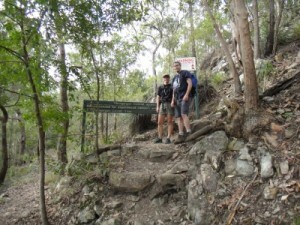 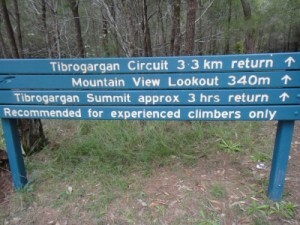 We dropped off Jon at the circuit and drove on to the carpark at Mt Tibrogargan. 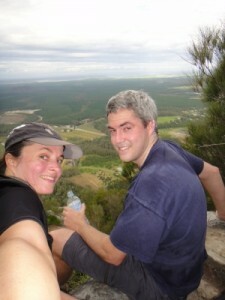 It took us 1.5hr to get to the top and back (2.4km with a 288m ascent). 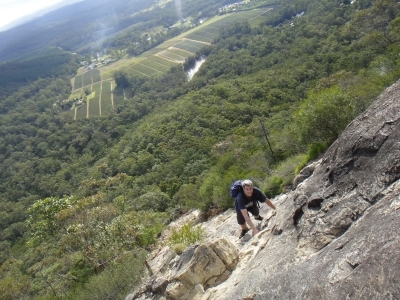 Amazing views from the top as well as from the lower sections, quite easy to get to the top, but definitely taking it steady on the way back down as some sections we were on all 4’s. 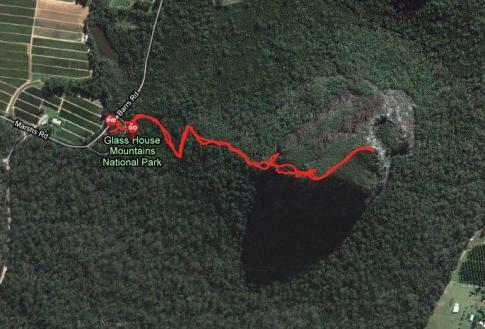 We picked up Jon from the circuit on the way back and drove home. Fantastic way to spend the afternoon. 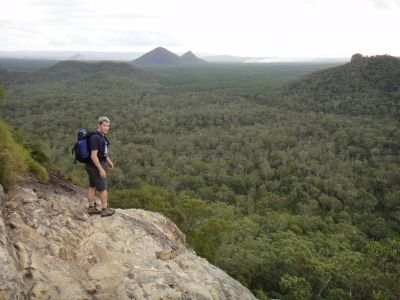 Mt Tibrogargan is a volcanic plug of hard alkali rhyolite that squeezed up into the vents of an ancient volcano 27 million years ago. It is one of the most easily recognised mountains in South East Queensland, bearing some resemblance to a gorilla or an old man hunched over. 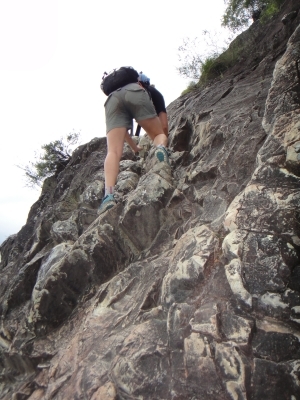 However, in 2004 parts of the rock face that resembles the eyes eroded and subsequently crumbled off. 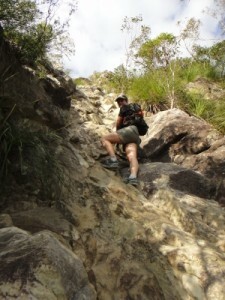 The name Tibrogargan comes from the Undanbi words chibur flying squirrel and kaiyathin biting. 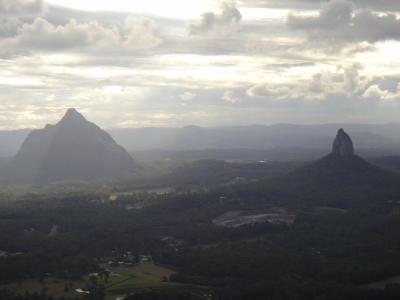 In the mythology of the region, Tibrogargan was the father of all the other Glass House Mountains except Beerwah, his wife. It was said that Tibrogargan saw a rising of the waters from the sea, and called to his son Coonowrin to take his mother Beerwah to a safe place; however, Coonowrin failed to do so, and in anger Tibrogargan clubbed Coonowrin and broke his neck. 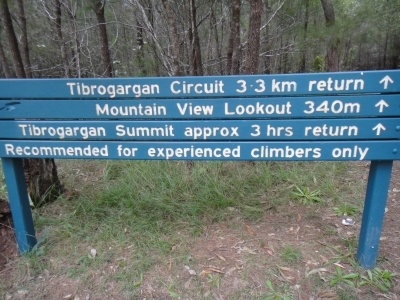 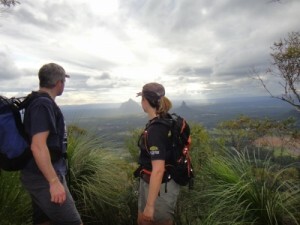 Tibrogargan is the second steepest of the Glass House Mountains after Mount Coonowrin, and is also quite high for the region at 364 metres (although still almost 200 m shorter than Beerwah, the tallest of the group).